Here is a fun fact on why I am so fat: I do not cook. I eat. And I eat a lot. In fact, out of the pot! It's funny because my brother on the other hand is a chef and so he cooks a lot and he is so stick thin, you would have wondered if he could ever pick up a pan. 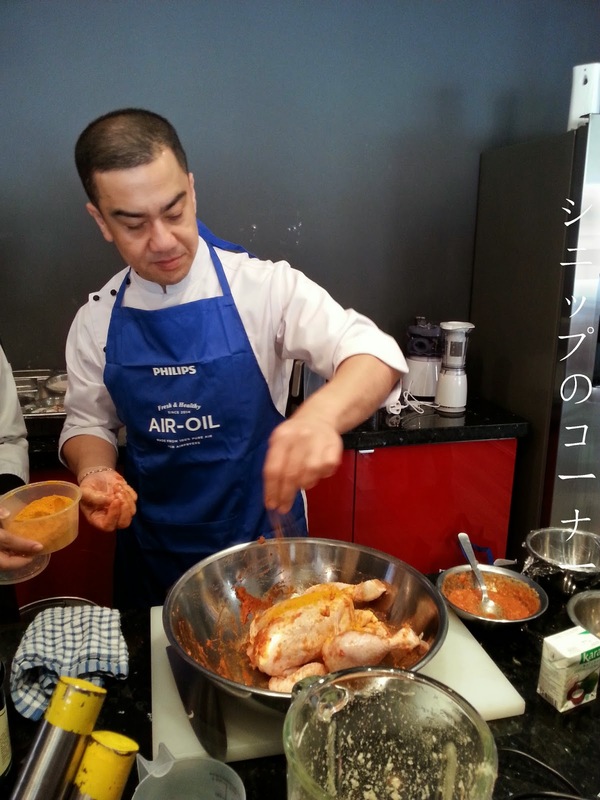 Luckily for me now, there's the Philips Airfryer so I can I can cook just as well without the big amounts of hassle. 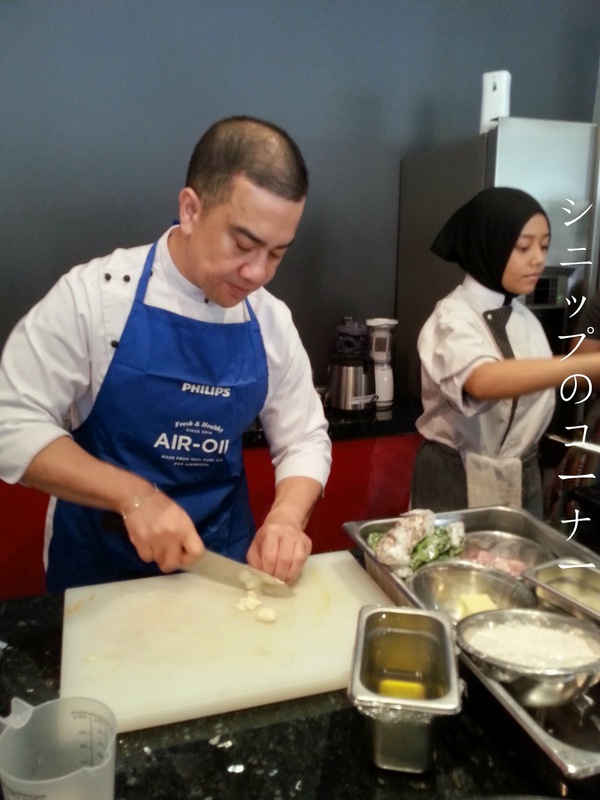 A whole lot of us were invited 2 weeks ago to Silverspoon International College in Puchong to have a cooking session with Chef Zam courtesy of Philips and all we were using was the Philips Airfryer and Philips Pressure Cooker to make madly mouthwatering good food. 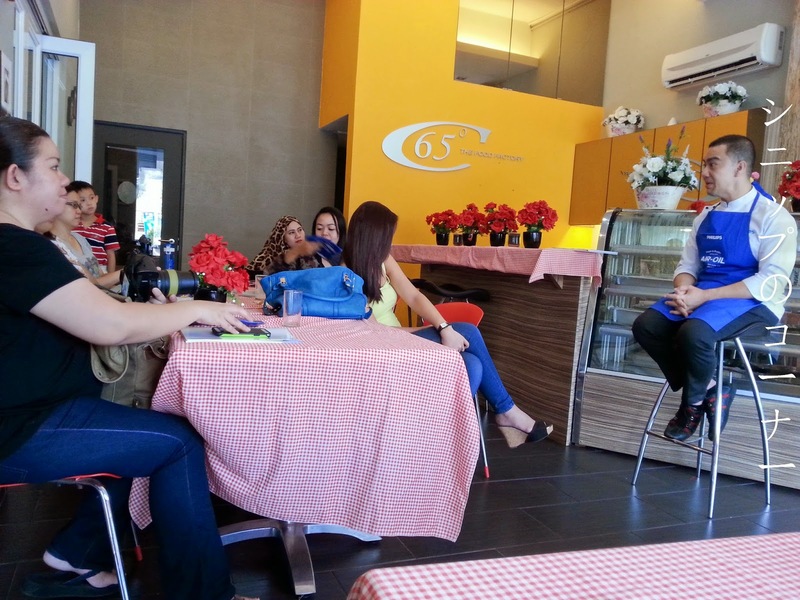 A sharing session by Chef Zam. 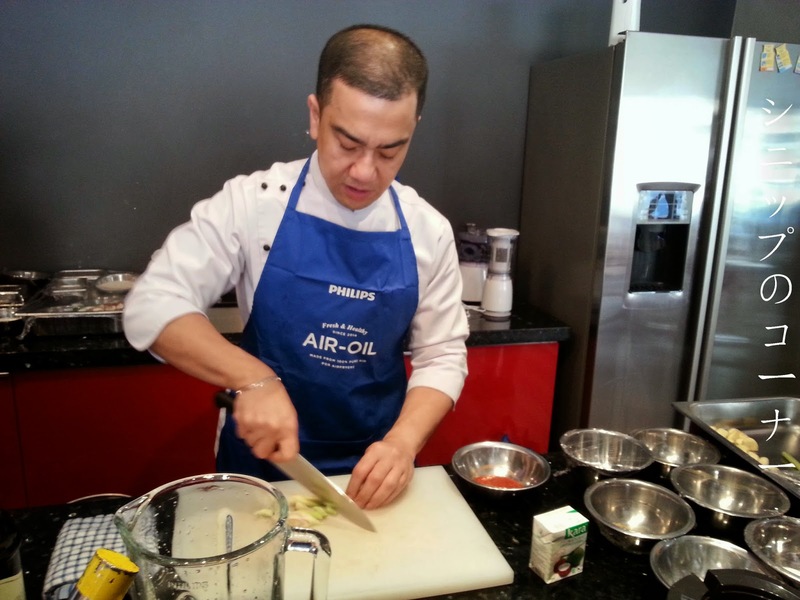 Here's a tiny backgrounder of the chef for those who don't know him: Chef Zam is a Malaysian celebrity chef with a zest for healthy cooking and living, bringing the team at Philips to chain in on a collaboration with him as the brand ambassador for an array of Philips kitchen appliances. For one, he is a really cheerful bloke with tons of laughs and I have to say that I did enjoy the cooking session even for someone with close to zero knowledge in getting behind the chopping board. Watching as he does cuts in angles professionally. I was actually wondering where he would cook all these up because he didn't seem to have many pots and pans with him so when he began to load up the AirFryer and pressure cookers, I was in a lot of doubts. I mean, I've heard of how magical the AirFryer is but isn't it all just a hype? And pressure cookers, psht. Those are for double boiled soups back at home. 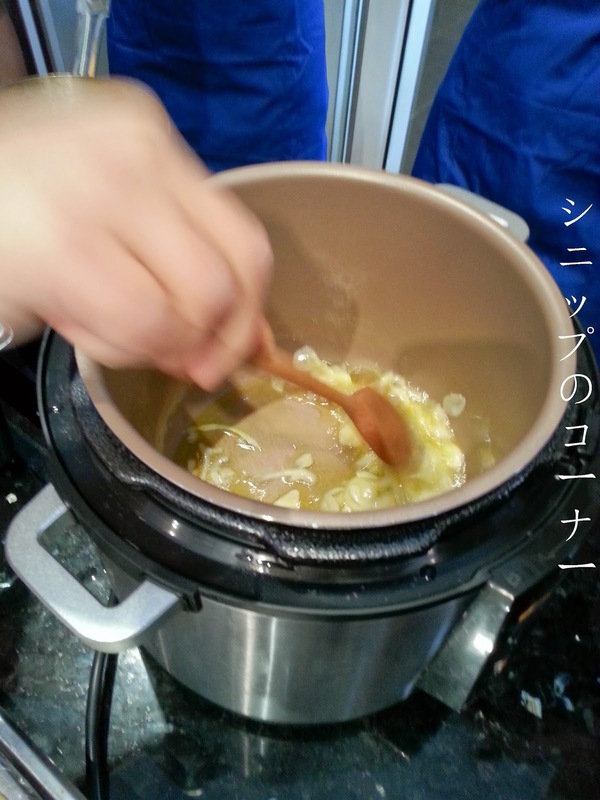 Preparing melted butter and onions INSIDE the pressure cooker? 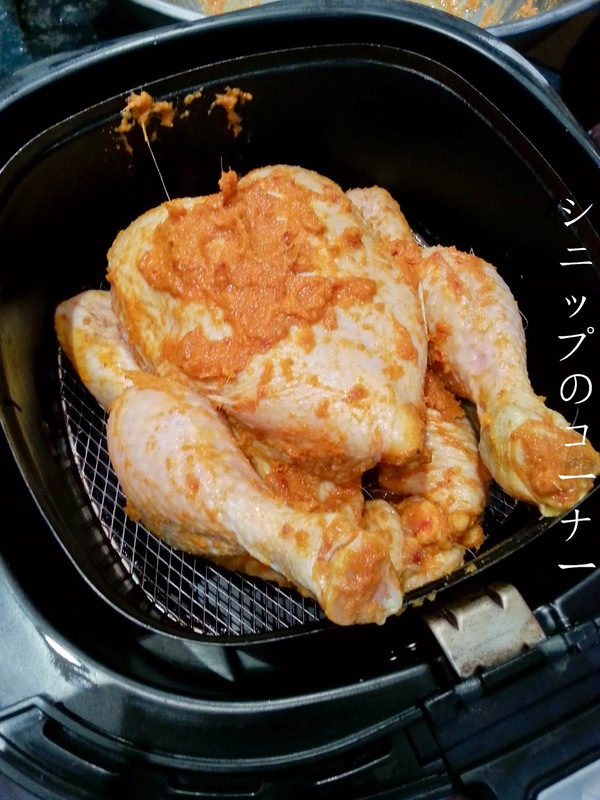 Cooking an entire ayam percik inside the AirFryer. I am not kidding, he prepared the entire chicken just by preparing the sauce and marinate then put it in the AirFryer for a ton of magic. There was minimal oil in the ayam percik dish and I thought that was great because less oil meant healthier cooking for a better living, right? But we weren't just there to see Chef Zam cook...we were there to cook too! Pretty lucky for Isabel and I because there was no fire involved or we may have burned the cafe down. Preparing the sauce and marinate. We're cooking and it's legit. I am not sure what was happening here but it looks as though we had our own cook show. 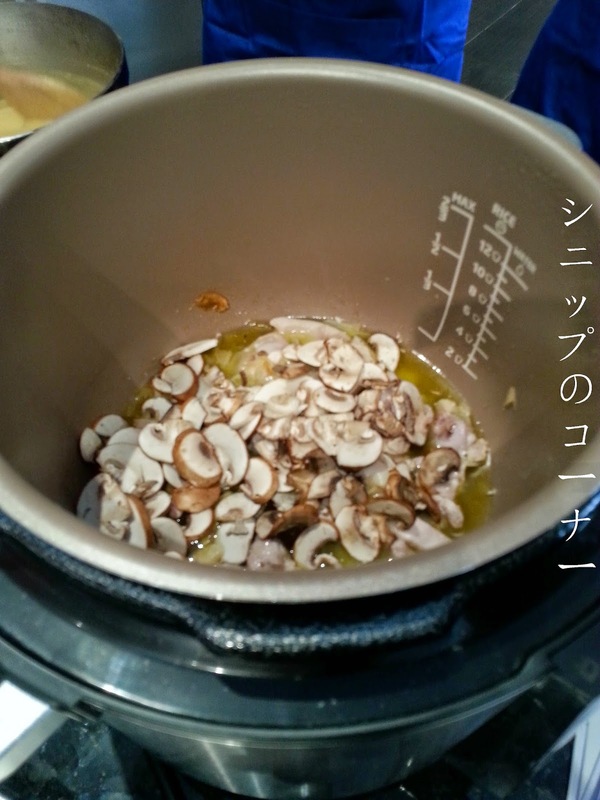 Cooking with the Philips Air Fryer and pressure cooker was actually a breeze, a lot more contrary to what I initially thought of it to be. All you needed was to push a few right buttons for everything to come out just the way you want for it to be and I was thoroughly amazed all day. 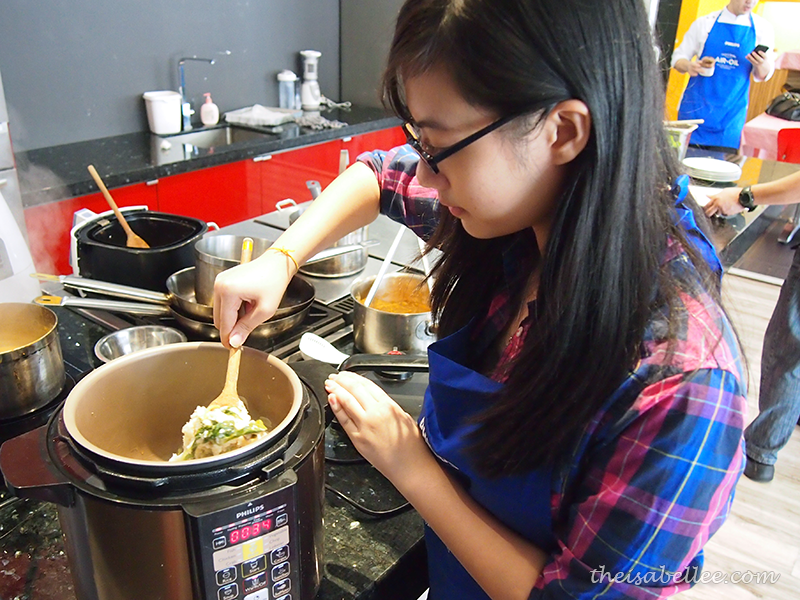 It wasn't just a hype, people actually NEED the Philips Air Fryer at home! 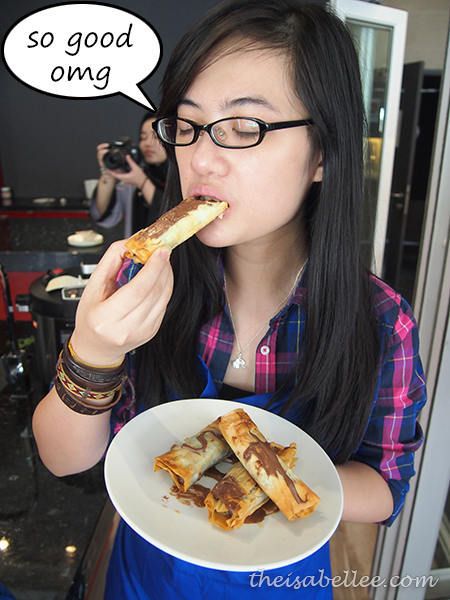 Rolling up our Nutella banana rolls. 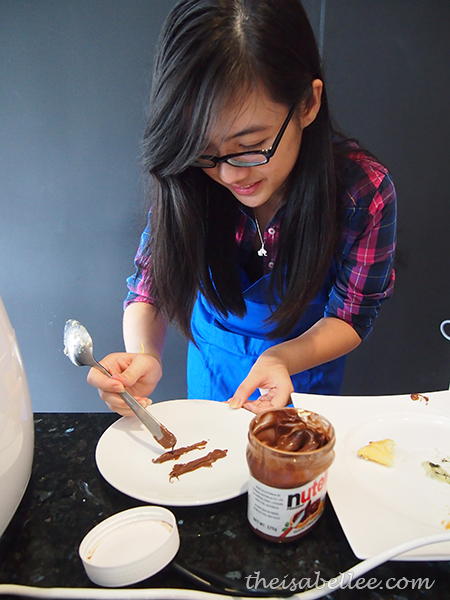 Setting up for "professional" plating. 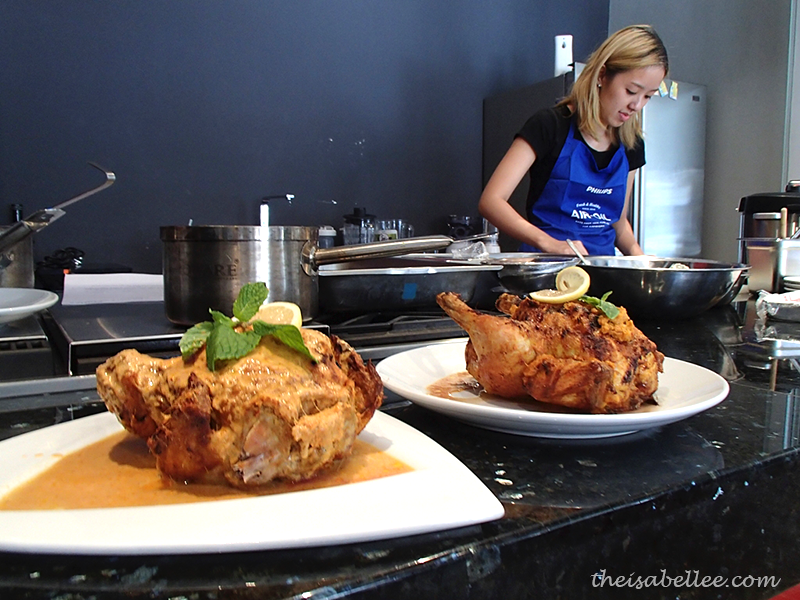 Within 2 hours, the cafe was filled with aromatic smells of ayam percik dishes, cheesy chicken risottos and air fried Nutella banana rolls and Cretan Kaltsounia. It was the most magical thing to happen to any of my Saturdays because it's usually just filled with me thinking of classes but that morning as I cooked with Isabel under the watchful eyes of Chef Zam, I had so much fun that I almost forgot about class. 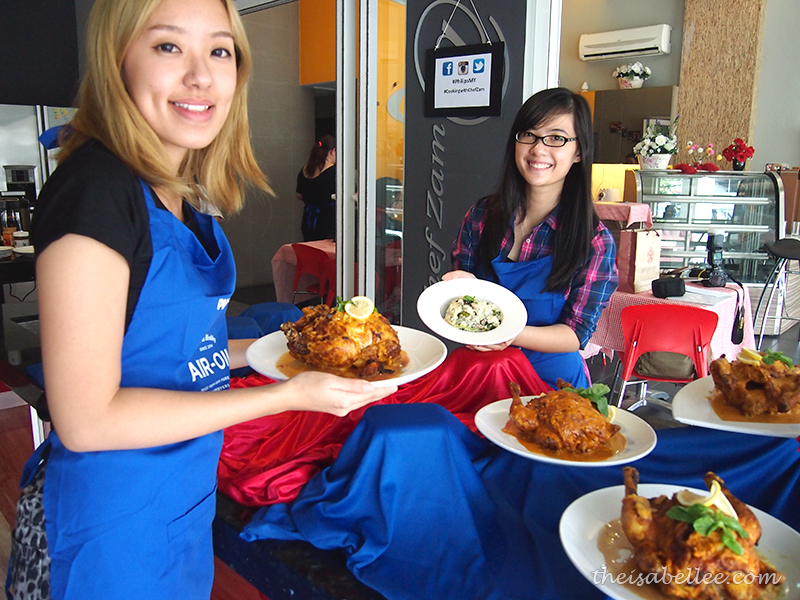 Dishing out our ayam percik! Picture by Tania using Isabel's camera. I was really glad on what we had achieved by the end of the day, okay? 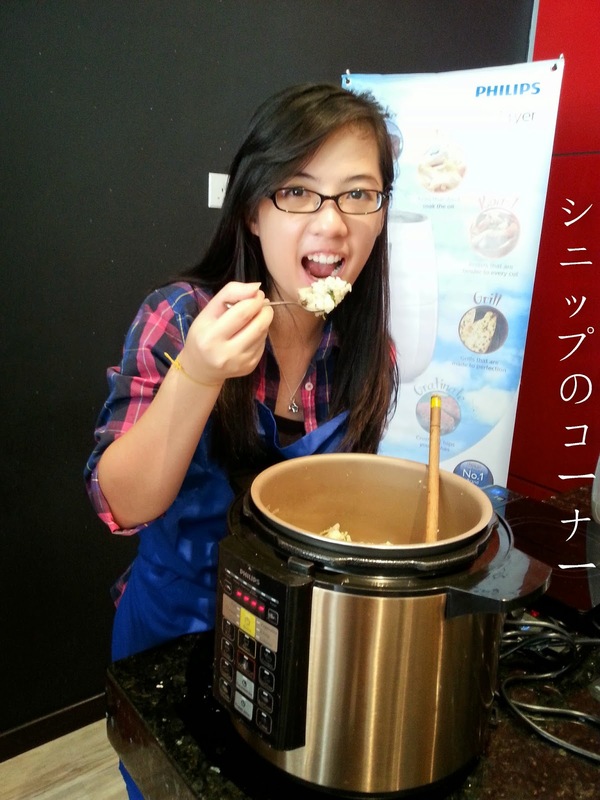 We we also extremely hungry towards the end that we did the unthinkable: We ate out of the pot. Caught in the act with a spatula in hand. While I also forgot the salt for our risotto, the ayam percik had an unmistakable zest that paired really well so we concluded that they both had to be served together as an East meets West specialty before a wrap up with the most delicious Nutella Banana rolls ever. Don't believe me? My face will not tell a lie. Picture and edit by Isabel. Thanks for the speech bubble, I did say that after taking a bite. It was an extremely fun session by the end of the day and I can't wait to someday have my own Philips Air Fryer at home to experiment with more good stuff, really. Now I could make more food and get even more fat, yay! 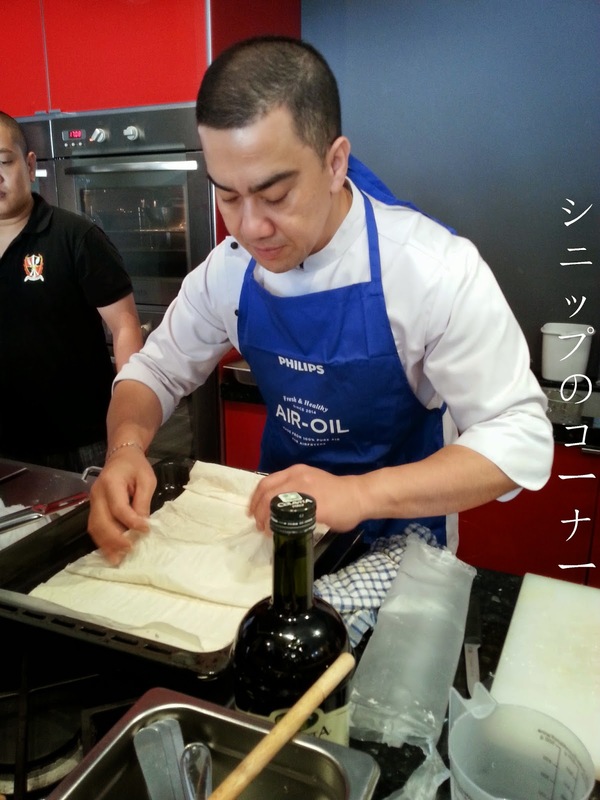 Thank you for the afternoon of cooking, Chef Zam! 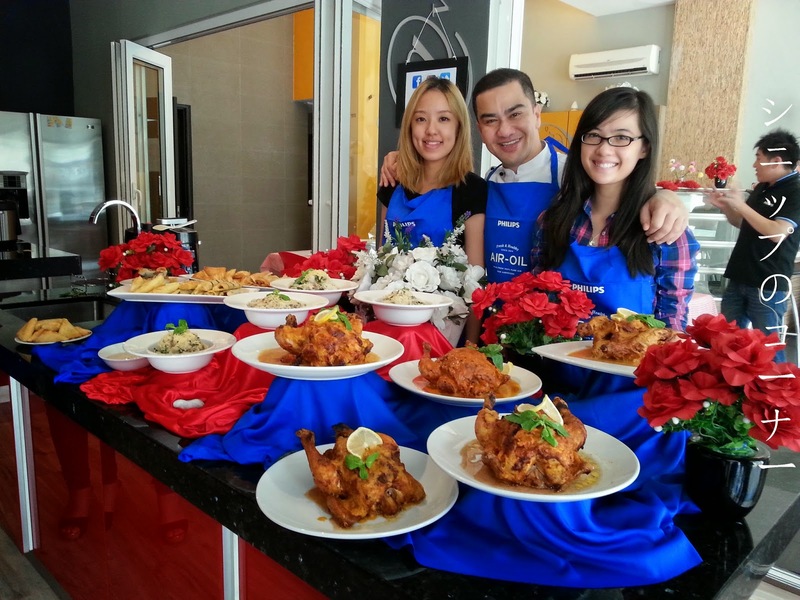 And thank you, invited bloggers of the cooking with Chef Zam by Philips! Until the next time I be pigging out, Shneep out! Thats so cool that they used the air fryer, I only just got one and its fantastic, I really really love using it. I decided to get one because my husband needed to lose a few pounds and it worked great :) Using AirFryerJudge helped us decide getting one. Hello there. My name is Elie. If you read my blog you'll learn more about me than this little corner has to offer. A blog project by Shneep. Powered by Blogger.